HomeRecent BlogsWARNING: Are Your Products and Websites Ready for the New Prop 65 Requirements? WARNING: Are Your Products and Websites Ready for the New Prop 65 Requirements? California’s Office of Health Hazard Assessment (OEHHA) has issued new Proposition 65 Warning Regulations that will go into effect on August 30, 2018. It is important for companies to understand the changed regulations and be proactive in adapting their product labels and even internet marketing to adapt to the new regulations. The coming changes have introduced a variety of new concepts, imposing additional burdens on businesses selling their products in California, and making it easier for plaintiff Prop 65 attorneys and groups to bring costly private enforcement actions. The OEHHA has made significant changes to the safe-harbor language requirements that govern the language, text, and format of such warnings. The new regulations introduce the concept of a “warning symbol,” which must be used on consumer products, though not on food products. 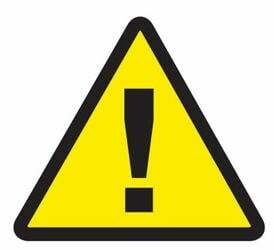 The “warning symbol” must be printed in a size no smaller than the height of the word “WARNING,” and should be in black and yellow, but can be in black and white if the sign, label, or shelf tag for the product is not printed using the color yellow. Certain special categories of products, such as food and alcoholic beverages, have a specialized URL that must be used. For example, warnings on food products must display the URL www.P65Warnings.ca.gov/food. The new regulations also specifically address internet sales for the first time. 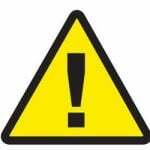 Warnings must be provided with a clearly marked hyperlink on the product display page, or otherwise prominently displayed to the purchaser before completion of the transaction. It will not be sufficient if the product sold on the internet bears the required label, but the internet point of purchase listing does not. The particular requirements for each specific product can vary, so manufacturers and resellers are well-advised to seek qualified counsel to review their situation before committing to potentially costly label and website changes that may not comply with the new requirements. Conkle, Kremer & Engel attorneys stay up to date on important regulatory developments affecting their clients in the manufacturing and resale industries, and are ready to help clients navigate the changing regulatory landscape in California and elsewhere. Although the new regulations take effect August 30, 2018, and the new warning labels are required for products manufactured after that date, companies can begin using the changed labels now. It is definitely not advisable to wait until August 2018 to begin making the required changes.